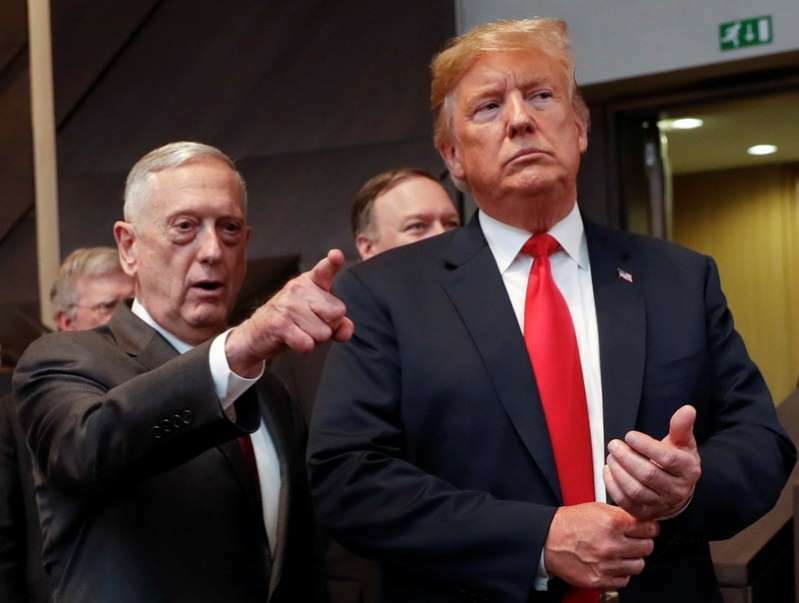 U.S. Defense Secretary Jim Mattis said President Donald Trump has reassured him of his full support after the Republican president described his Pentagon chief as "sort of a Democrat" who could leave the administration. Mattis, speaking to reporters before landing in Vietnam on Tuesday, said he received the reassurance from Trump in a phone call during his nearly 20-hour flight from Washington. "(Trump) said, 'I'm 100 percent with you'," Mattis recounted, playing down Trump's remarks to CBS' "60 Minutes," which aired on Sunday. Asked whether he was a Democrat, as Trump suggested, Mattis, disclosed that he had not registered as a Democrat or a Republican. "I have never registered for any political party," said Mattis, a retired Marine general. Mattis sought to portray national defense as an issue above partisan politics. He also pointed to a long military career that taught him to act in a "proudly apolitical" manner, in which U.S. servicemembers carry out orders from Republican and Democratic presidents alike. Mattis said he did not talk to Trump about leaving his job and dismissed speculation he was being pushed out. "I'm on his team. We have never talked about me leaving. And as you can see right here, we are on our way (to Asia). We just continue doing our job," Mattis said. The remarks represented Mattis' first and only response since Trump's assertions to CBS raised questions about whether Mattis might be getting ready to leave his job, perhaps after mid-term U.S. elections next month. Trump told the news program: "I think he's sort of a Democrat, if you want to know the truth. But General Mattis is a good guy. We get along very well. He may leave. I mean, at some point, everybody leaves." Mattis' future has become a focus of media speculation, particularly after last month's release of a book by Watergate reporter Bob Woodward that portrayed Mattis privately disparaging Trump to associates. Mattis has strongly denied making any such remarks. Trump had long been deferential toward Mattis, saying on Sept. 5 his defense chief would remain in his job. Mattis has previously made no secret of the fact that he was not looking to become secretary of defense - or even return to Washington - when Trump was elected. Mattis had stepped down from the military in 2013 and taken a job at Stanford University. He told his Senate confirmation hearing last year he was "enjoying a full life west of the Rockies" when the call came about the position. Asked last month about reports he may be leaving, Mattis said: "I wouldn’t take it seriously at all." Western officials privately extol Mattis, whose standing among NATO allies has risen as they become increasingly bewildered by Trump's policies on trade and Iran and disoriented by his outreach to Russian President Vladimir Putin. One factor thought to have darkened Mattis’ prospects is this year's arrival in the White House of Mira Ricardel, who has the powerful post of deputy national security adviser and is believed to dislike Mattis, current and former officials have told Reuters. He is also seen as less hawkish on Iran than Secretary of State Mike Pompeo and White House National Security Adviser John Bolton.